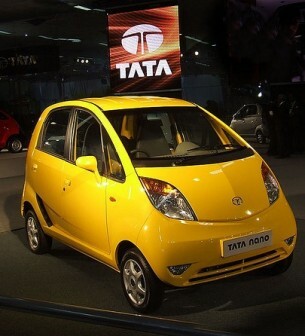 The Tata Nano’s launch failed by nearly every measure. Sales fell far short of forecasts. The relocation of the factory was a debacle. One need not invent a colorful metaphor to describe the situation: occasionally, the car even burst into very real flames. “The People’s Car” also known as the world’s cheapest car, cost a mere 100,000 rupees – about $2,000. Achieving this price point represents a feat of frugal engineering. Yet as others have noted: no one aspires to own the cheapest car in the world. Sure, consumers love bargains. But vehicle choice makes a statement about the buyer, something well documented in JD Power’s research on why people buy Toyota’s Prius. It’s not about gas mileage; it’s about image. The image consumer segments from A to E want to project has nothing to do with being the cheapest in the world. As the editor of Auto Car India points out, Tata added insult to injury in that the top-end Nano model was priced at about 200,000 rupees (two lakh) while still being perceived as a one lakh value. Tata missed the mark by a wide margin on many accounts. Yet despite these errors the Nano has accomplished some big tasks. There is now a race to build a better “world’s cheapest car.” Thousands of articles, blog posts, books, and commentaries have been written about why the Nano went wrong and how to avoid the same mistakes. Tata appears to have taken good notes. The company is coming back with what appears to be a better version this year. By persevering and maintaining a focus on the base of the pyramid, the company demonstrates the enviable capacity for leadership and foresight. Yet perhaps most importantly, the Nano presents other companies and development organizations some clear lessons from which to learn. The high-profile nature of the Nano launch helped accelerate change in the auto industry and beyond. In the year leading up to the Nano’s launch in March 2009, every major carmaker from Toyota to GM announced plans for a new low-cost vehicle. While Tata may now be wishing that the car’s initial launch had been a bit less public, the hype drew attention to the market in a way that had not been done before. Through myriad news announcements, the groundbreaking commitment to producing a real car accessible to lower-income consumers, and the audacity of the one lakh target price, the Nano gave companies thinking about emerging segments in emerging markets something to talk about. And that hype caused companies of all shapes and sizes across many industries to plan or at least imagine how their products might someday reach the poor. If a company that sells cars – once a luxury good of only the most elite – could produce something that might drive sales in lower-income markets, surely other industries could follow suit. (Above, the Nano unveiled in 2008. This story would have a more obvious happy ending if Tata had gotten it right the first time: sales numbers in the millions, a transport revolution in the developing world, etc. etc. But second best to getting it right is knowing why things went wrong, which is now well-documented and available to the public. The car symbolized anything but an aspirational purchase. As we’ve learned, pricing wasn’t the only thing that mattered. The target market segment shifted. The price went up while the perceived value stayed the same. The car had not been properly tested. Setting up manufacturing in India wasn’t easy. Political interference, local unrest, and floods didn’t help things either. 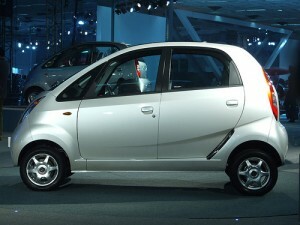 All the while, Tata largely failed to capitalize on the very happy users who owned one of the cars that did work well. The company was unable to mobilize brand ambassadors who held the power to make the car aspirational. These are lessons not just for car manufacturers but for all seeking to cater products to base of the pyramid markets. Despite the setbacks, this is clearly a journey that Tata has embraced. If the Nano doesn’t have you convinced, check out the Swach filter or $700 home able to be assembled in a week both produced by Tata. The company, whose roots to the base of the pyramid are the strongest around, has planted its sword in the ground. That’s an admirable stance that shows clear leadership from a company that is not afraid to show its commitment to what was once deemed impossible, unwise, and unprofitable.